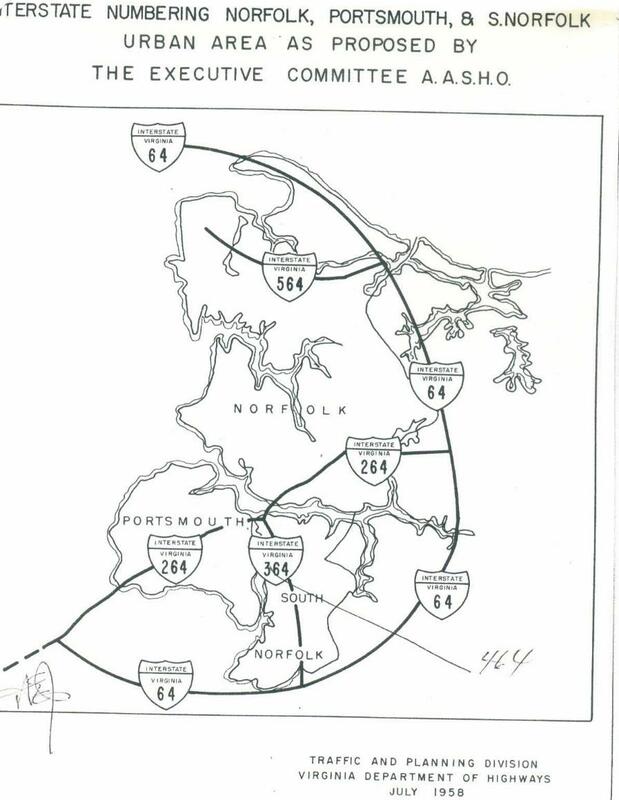 I-364 #1: When Virginia received its original Norfolk area interstate allotment, it included today's I-464. However, the initial number submitted by Virginia was I-364 (see title photo). Not long afterwards this was renumbered as I-464. I-364 #2? : Appears on page 7-101 of the VTRANS 2035 surface plan as an option for the third Hampton Roads Crossing which in this plan would run from I-664 east to I-564 across a lot of water plus Craney Island.